After two weeks of delay, Sonic Mania arrived on PC on August 29th, to very little fanfare in comparison to its releases on console on August 15th. However, it stands as solid game even on the PC port, despite some controversy, and manages to revitalize the Sonic series. Sonic Mania is a huge step in the Sonic franchise, so let me quickly rehash the history of Sonic games. Back in the days of arcades and quarters, Sonic was Sega’s reaction to the Mario franchise. When home consoles were new, saving your game wasn’t exactly an option, and people had limited time to pour into one session. In order for people to beat a game, they had to sit down and play for hours to get through castle after castle. Mario was the worst perpetrator in this category – it took thirty seconds to beat 1-1, and that time just compounded as the levels continued. Plus, the levels were very linear, and not very replayable. Sonic sought to change that, with not only levels that were filled with exploration, but with a ridiculously fast protagonist, so that skilled players could shoot right through the stages they’d already played and get to where they left off with very little effort. Because of these beginnings, Sonic has always been about pure, unbridled speed and craziness. However, Sonic has gone through a rough patch, to say the least. Most of the titles released up to today have been pretty terrible, and even beloved titles like Sonic Adventures have not aged well. They generally moved away from Sonic’s speedster backgrounds, and tried to move towards a fighting genre. Whether it be Sonic ‘06 (which we won’t talk about), Sonic and the Black Knight (which was a King Arthur swordfighter) or Sonic Unleashed (which had the potential to be good, but became a first-person fighter after 20 minutes), a lot of the Sonic games were alright as games, but not super great as Sonic titles. There were a few gems in the mix, namely Sonic Colors, Sonic Generations, and Sonic Lost World, and there were fun aspects in most of the titles released. Then we got Sonic Boom. Sonic Boom, in my opinion (because this entire article is pretty much my opinion), was a slap in the face to anyone who actually enjoys the Sonic titles. Sega hired an indie company and made them overexert themselves. The company said that they could probably get out a title by midway through next year – instead, they released two, one for Wii U and one for 3DS, by Christmas. These games would’ve been pretty bad anyway, but this time crunch made them worse. The 3DS game wasn’t the worst, but it was very repetitive, and it started to get glitchy and mostly broken after an hour of play. The Wii U edition was an absolute travesty in the Sonic franchise, however. It was a mystery fighter game, with punching and shooting (they didn’t even bother to feature any real Sonic moves), a terrible plot, and enough glitches to drive anyone crazy. (If you need proof, the Game Grumps on YouTube have a playthrough that sums up the game pretty well.) In short, the Sonic series was pretty much in the worst place it could possibly be. Sonic Mania, however, plays like a rocket-powered drug trip, which is exactly what the Sonic franchise should be. People loved the original games for the high-octane excitement that they supplied, which is captured perfectly in the chaotic (pun intended) atmosphere of the game. 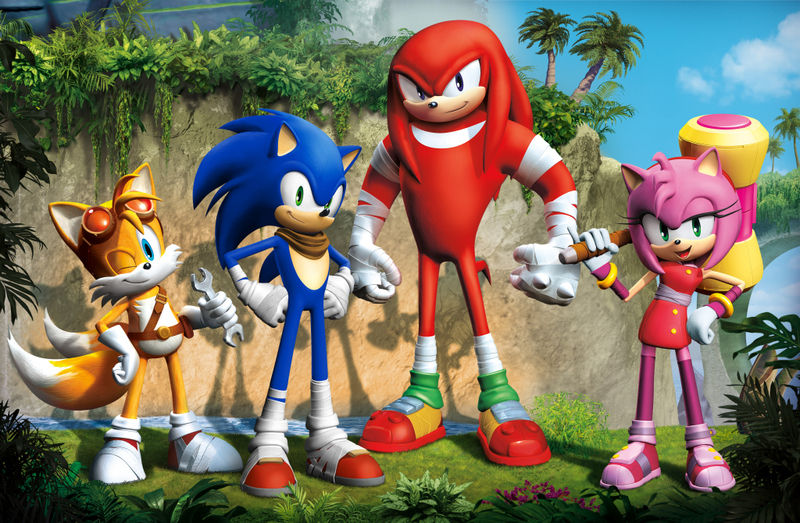 Sega hired community members who make Sonic mods and put them in a group, which brought back the elements of the original games incredibly well. Whether it was the soundtrack, an 8-bit love letter to the original games with a touch of jazz, the graphics, which were like the old Genesis graphics on steroids, or the playstyle, which knocked you to the ground, it captured the feel of the old games beautifully. It isn’t going to bring back the Sonic franchise alone, especially because it feels like a bundle of great levels rather than a cohesive game. However, it definitely tells me that Sega is back on the right track. No mention of the Sonic Mania PC port can leave out some of its copyright issues, though. Controversially, Sega instituted the Denuvo anti-tampering DRM, which protects the game from being changed or copied. Though Denuvo is one of the least intrusive copyright protectors, it still is notorious for sometimes leading to performance or game issues, and the community loves being able to look inside a game. Only eight days elapsed after the game’s release until someone disabled their Denuvo and published the solution, leading people to speculate that Sega will soon remove it completely. However, only time will tell. Last, but most certainly not least, what’s next for the Sonic franchise? If Sonic Mania is a love letter to the olden days of Sonic, Sonic Forces, coming November 7th, is a tribute to the recent games, and what’s to come. From what we’ve seen of leaked footage, it combines some of the crazy Sonic fun with some more modern elements, and tries to take the best aspects of the games from the last 15 years and put a fun twist on them. Overall, it looks a lot more serious, and it definitely seems like this could hit or miss. If it succeeds, Sonic is back. If not, then Sega has a long road ahead of them. What do you think? Is the Sonic franchise back, or will it go right back to where it was?